Shirley Underwood, 83, of Lancaster, passed away Monday November 26, 2018 at Ephraim McDowell Regional Medical Center in Danville. She was preceded in death by her loving husband Joe, who always said she was “his best catch ever”. They are spending their 66th anniversary in Heaven. Shirley was born on May 10, 1935 in Lincoln County to the late James Robert and Nancy Holtzclaw Payne. Shirley retired from Genesco Shoe Company after many years. She was a homemaker as well. 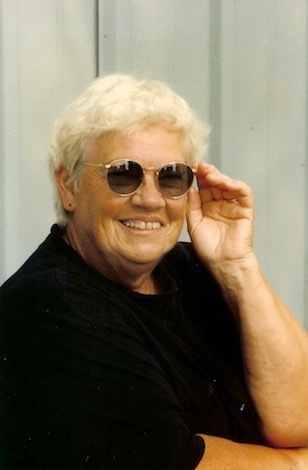 She enjoyed fishing, gardening, and was an avid University of Kentucky and Cincinnati Reds fan. The most important aspect of her life was her beloved family. She was a member of Pleasant Grove Christian Church. Shirley loved her church family. Surviving is a daughter, Joetta Mertz(Steve) of Junction City; a son, John Underwood of Lancaster; a brother, Bob Payne(Margaret) of Arkansas; a sister, Patricia Tapp(Doug) of Lancaster; seven grandchildren, Jennifer Yates of Junction City, Travis Mertz(Laryn) of Danville, Josh Underwood(Diana Bennett) of Lancaster, Justin Terawood(Tyler) of Lexington, Lance Mertz(Ashley) of Alabama, Ashley Murphy(Jordan) of Lancaster, and Jordan Underwood of Loudy; and six great-grandchildren, Kaitlin Mertz, Jackson Mertz, Weston Mertz, Riley Murphy, Logan Murphy, Jace Underwood; and a daughter-in-law Jamma Underwood of Somerset. Along with her husband and parents, Shirley was preceded in death by a son, Jeffrey Underwood. Funeral services will be 11:00 AM Thursday November 29, 2018 at Spurlin Funeral Home Chapel with Pastor Fred Willett officaiting. Visitation will be 6-9 PM Wednesday. Active pallbearers are Tony Underwood, Ron Moberly, Travis Mertz, Michael Tapp, Lance Mertz, and Josh Underwood. Honorary pallbearers are Bob Payne, Roy Cain, Gary Pollard, Jackie Underwood, Doug Tapp, and Dean Underwood.